[Hard Cider has a prominent place in American history, dating back to the founding fathers in the 1700's. Although Hard Cider has been around, it has been "rediscovered" in recent years, especially in Colorado. It has been interesting for us at Masonville Orchards to see this "rebirth", from hobbyist to large commercial producers, there has been significant interest in many of the heirloom and unique varieties that we grow. We have talked to just about everyone one of them, they all have a different approach, method, idea, game-plan, etc. The one commonality is they need good quality apples to make their brew, and that's where we come in! Over the years, we have provided apples to a variety of producers, hobbyists making small batches for personal use, small start-up cidery's that produce for the local community, and larger cidery's with greater ambition and distribution. 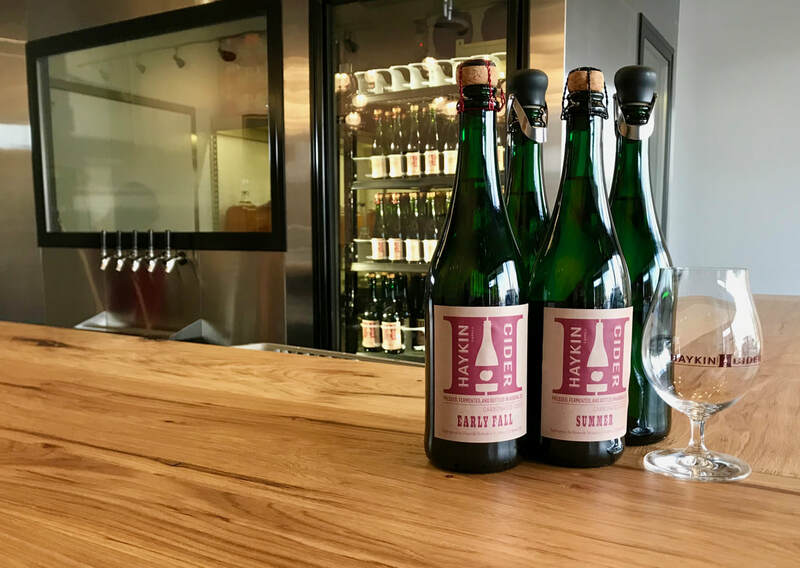 Visit their tasting room in Aurora to get the full tour and flavor of their exciting cider varieties. They produce many different varieties of cider by using small batch single varieties whether it be Akane, Scarlet Surprise, Williams Pride or you name it! I am no means a cider expert, they are, and thus our relationship was formed.